Keeping your heating system operating is a priority during the winter months. Straight Line Heating and Cooling offers a full range of heating services, including prompt, efficient repair service for all heater and furnace brands and models. Whatever the level of urgency, you can count on our heating specialists to be there whenever the need arises. Our service technicians are thoroughly trained to diagnose heating issues and complete repairs quickly. Your system is no longer able to adequately warm your home. Your furnace turns on and off repeatedly without reaching your selected temperature setting (short cycling). One or more rooms have recently begun feeling colder than the rest of your home. The air coming from the registers doesn’t feel as warm as usual. The system has started making strange and disturbing noises. Airflow from the registers has lessened considerably over time. You’ve recently started detecting unusual and unpleasant odors while the system is running. Each of the above symptoms can be a sign that your system is heading for a breakdown. Catching these issues quickly before they cause real damage can save you money. When you notice any of these issues, call us right away, and we’ll have your system back in shape in no time. If your heating system issue is more serious, we can provide the fix for that as well. When your system breaks down after normal business hours, you’ll be glad to know we have service technicians standing by 24/7 to respond to your call for urgent heating services. Although we’re a Trane Comfort Specialist, we’re trained to service all makes and models. Customer satisfaction is always guaranteed. When your heating equipment needs repair, get in touch with Straight Line Heating and Cooling. 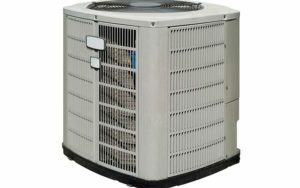 Our heating experts will provide prompt and courteous service. They’ll get your system running again, restoring your family’s comfort quickly. At Straight Line Heating and Cooling, we value continuous improvement, our customers, and keeping our word. To learn more about our services, contact us today. Our service area includes Paso Robles, Atascadero, San Luis Obispo, CA and the surrounding areas.